Step 2 Enter a folder name and click "Ok" button. DiskGenius locks the partition where it is creating new folder. To prevent data loss, please exit all programs and close all files of the partition before creating a new folder. 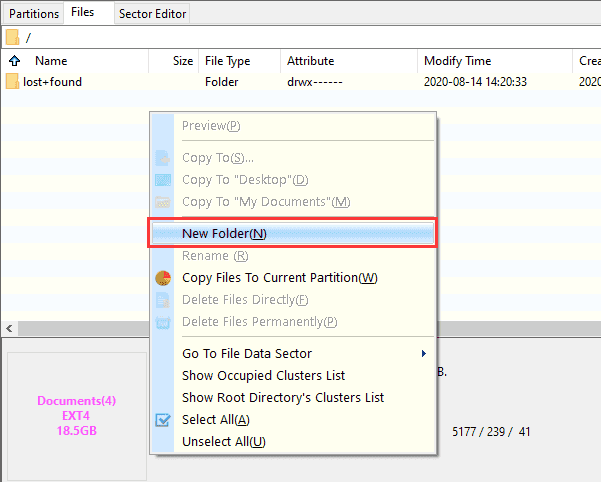 After the folder is created, the partition can be used normally.